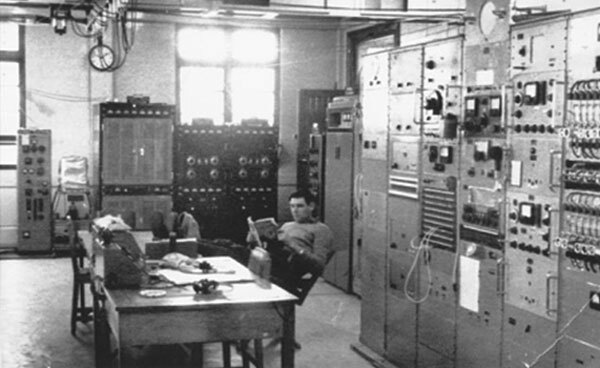 Another view of the transmitter hall at Wellington Radio, c1960. Photo: Jim Coyle. Click to enlarge. The transmitters in the background of the above photo are, from left to right: NZPO type 351 (an RCA transmitter, ex WW2) from memory to Portland Island. Next are a couple of Collier and Beale transmitters, one partially hidden by a great circle map and antenna board. The bigger one was possibly the main marine 500 kHz transmitter and the smaller one for small ships radiotelephone on 2182 kHz. The grey one is possibly a Standard Radio transmitter. Closer to the camera is some sort of installation which I don’t recognise; it looks like the back of some equipment except for the row of meters across the top. In front of that is a Canadian CSR5 receiver on end, possibly being serviced. On the table in the foreground at left is what looks like an NZPO-made canvas technician’s toolbag. Chris Underwood recalls his trips to the Mt Crawford receiving station. 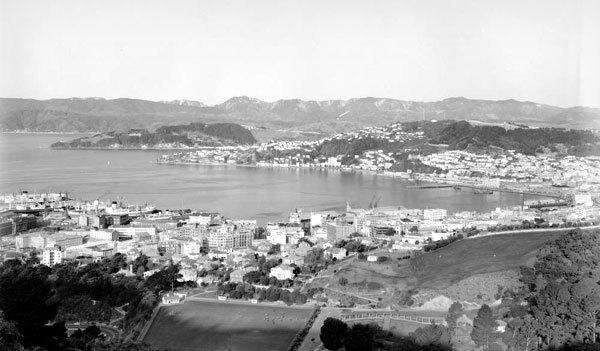 On 10 April, the 8948-ton ferry Wahine ZMGW struck rocks and sank in the entrance to Wellington harbour during a severe storm, killing 51 people. 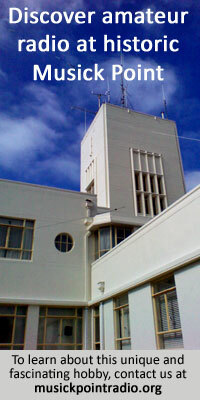 Wellington Radio was involved in communications with Wahine using radiotelegraph and single sideband. Other communications were conducted on VHF, which Wellington Radio did not have.